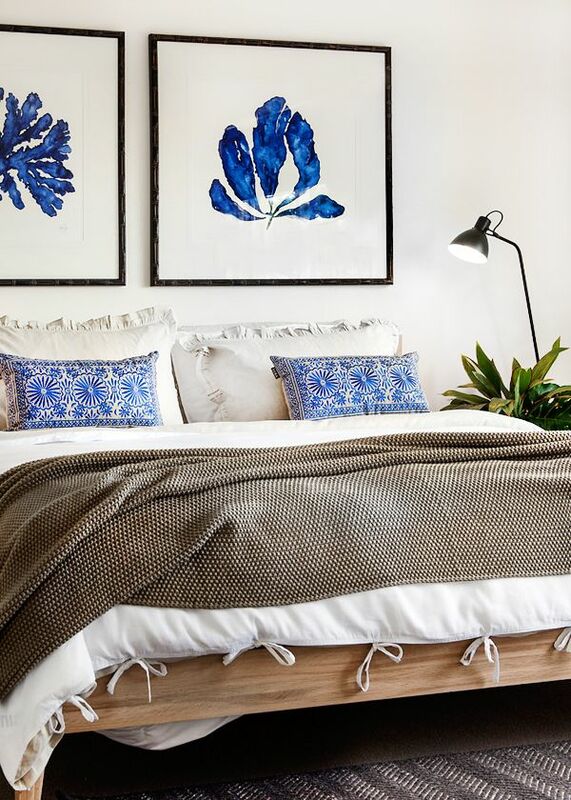 Using cool blues to decorate your home during the warmer months can be an excellent way to trick your mind into thinking the temperature is a little cooler than it actually is. We’ve recently renovated our Kitchen (check it out here) using a light blue tile for the splashback. It took ALOT of persuading from my husband to get me on board with having a colour in the kitchen rather than just keeping it all neutral, but now every time I walk in I feel welcomed by an inviting colour that is fresh and cool to look at. I absolutely LOVE that we went with the light blue as the whole space has been transformed to a room that feels a lot brighter than it used to – when everything was just cream and beige.